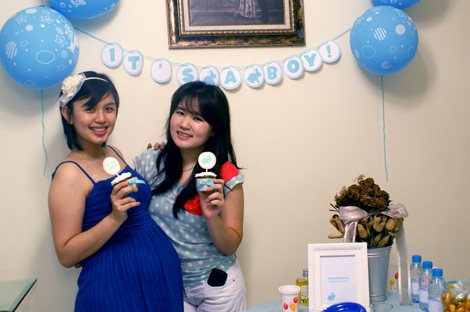 My best friend, Gunawan & Ayu, are expecting a baby boy this year. 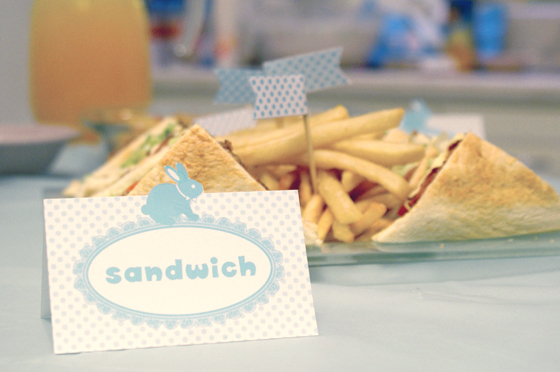 Based on chinese zodiac, the baby boy will born in rabbit year. 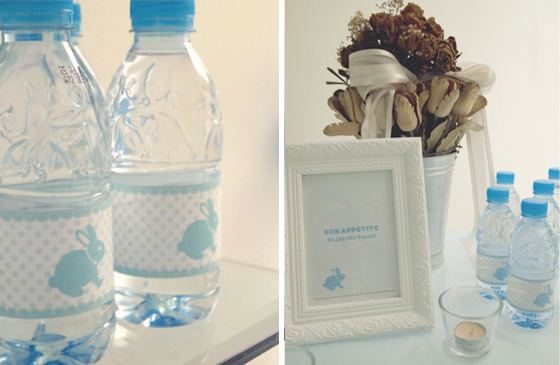 So, we did a simple baby shower for her at her private residence in Jakarta, Indonesia, we decided to go with baby blue and white bunny theme. 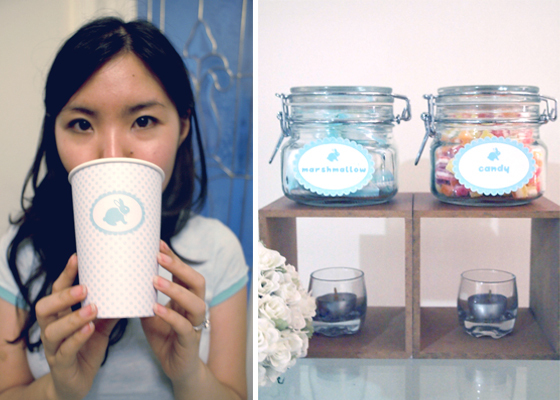 We created and designed the whole range of the stationery from invitations to menus and guest’s activities. 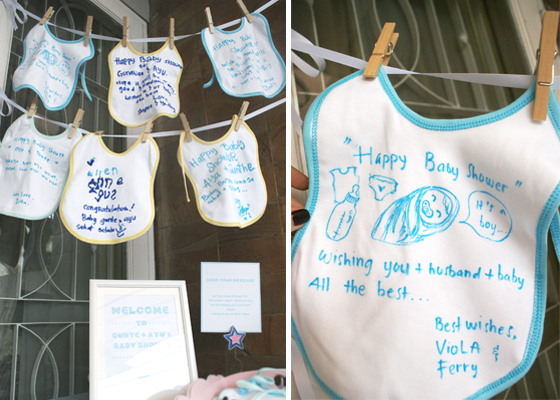 All guests were welcomed with the baby napkins to write their messages to the happy parents-to-be and hang it on ribbons. Grandma’s Cake did a good job with the cupcakes with icing and it was so yummy. 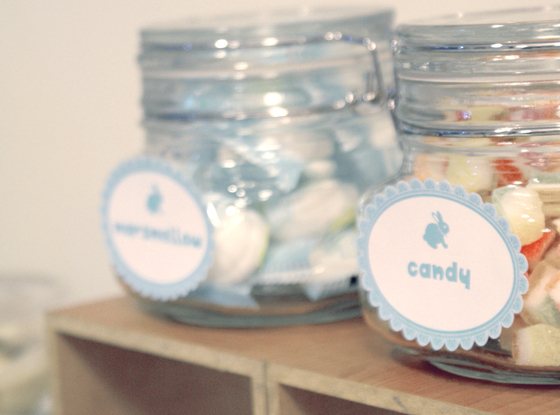 All the party stationeries were done in 2 weeks only. 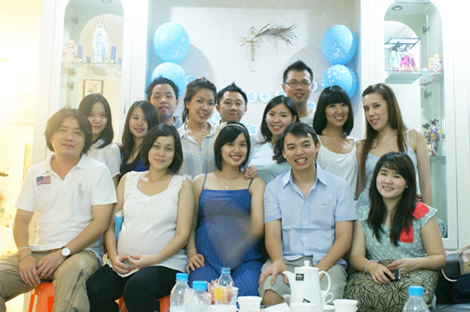 The first time and yet the most tight deadline in preparing party. 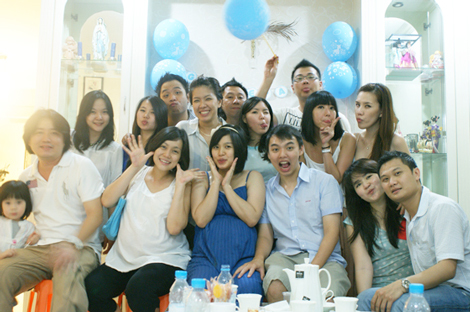 Very fun and homey party indeed.